When a SWAT team came through the door of convicted grave robber Jack Lee Harelson's rural Oregon home this January, it was only the latest twist in one of the nation's grisliest cases of archaeological looting. Former insurance agent Jack Lee Harelson is now being held in Oregon's Jackson County Jail on charges including soliciting murder and violation of the 1979 Archaeological Resources Protection Act (ARPA). How Harelson landed in jail charged with attempted aggravated murder is a story that stretches back to 1980, when he first began illegally excavating Elephant Mountain Cave, a remote rock-shelter on government land in Nevada's Black Rock Desert. According to the government, Harelson dug at the site for years, building a wall to conceal the dirt pile he created. During the course of the excavations, Harelson and his wife uncovered two large Archaic period baskets containing the bodies of a boy and girl that radiocarbon dating would later show to be 2,000 years old. They removed the burials from the cave, along with grave goods that included rabbit nets, obsidian blades, and deer-hoof rattles. Harelson decapitated the bodies, and buried the headless corpses in plastic garbage bags in his backyard. In 1995, authorities were tipped off to the illegal dig by one of Harelson's former business partners in an opal mine. Harelson's ex-wife was granted immunity from prosecution and provided authorities with specifics about the excavations, leading authorities to the two mummified, headless corpses. The skulls were not recovered. An Oregon state court found Harelson guilty of corpse abuse and possession of stolen property in 1996. He was fined $20,000 and served thirty days in jail (though the Oregon Supreme Court eventually threw out the conviction of corpse abuse after ruling the statute of limitations had expired). Then, in December 2002, a federal administrative law judge in Oregon leveled a $2.5-million civil penalty at Harelson for destruction of archaeological resources, one of the biggest fines for archaeological looting ever assessed in the United States. James Patrick Barker, Bureau of Land Management (BLM) archaeologist for Nevada, has called Elephant Mountain Cave one of the Great Basin's most significant cave sites and its looting at the hands of Harelson a tremendous loss to science. As an example of the archaeological significance of the cave, Barker points to a pair of sandals Harelson plundered that have been radiocarbon dated to 10,000 years ago, making them the oldest footwear ever found in Nevada and among the oldest in the world. For his part, Harelson insists he dug only a "test hole" at the site in hopes that it would interest archaeologists in the rock-shelter. Harelson points out he has a history of reporting significant paleontological finds to the Nevada State Museum, which the museum acknowledges (dmla.clan.lib.nv.us/docs/museums/cc/mammal.htm). In the 1980s, Harelson discovered the remains of two Pleistocene camels and an exceptionally well preserved 25,000 year old horse near Nevada's Pyramid Lake. He reported the discoveries and the skeletons were excavated by the Nevada State Museum, where they are now on display. In an interview with ARCHAEOLOGY magazine three days before his latest arrest, Harelson maintained that he intended to hand over the artifacts from Elephant Mountain Cave to the Nevada State Museum. "I'm not a thief," said Harelson. "When I find something significant I turn it over. That was my intention all along, but they had to go hammer on me. Ruin somebody's life just because they need some attaboys. It's just governmental [expletive]. I never did say it was mine. I wasn't collecting that particular stuff, hell, everybody's got a jillion pieces of that stuff, broken sticks and twigs and human feces--and I had them all in sealed containers. They just wanted to rip on somebody. It was all study material that I had in my collection, every bit of it. I had one piece out here, a basket and it was in a sealed container, too. I made a glass case, airtight so it wouldn't get contaminated with other air. If I ever got a chance to get this stuff in to where they could get their permit, yeah, they would have studied every bit of it. 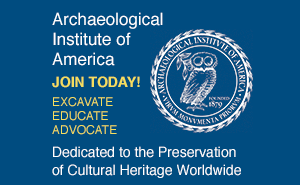 The archaeological community has lost so much because of this. There is not anybody now who will turn in a discovery, for fear of James Patrick Barker and his kind. You try to do things right and they lie, cheat, and steal to get where they gotta go." After his 1996 conviction, Harelson lost his license as an insurance agent. He ran an eclectic online business called "Jack's Outback," through which he sold opals, artifact display cases, reproductions of ancient Petroglyphs, greeting cards decorated with rock-art motifs, and "authentic arrowheads," according to his web site. It now appears that Harelson continued to deal in illegal antiquities after his conviction. Craig Magill, special agent in charge of BLM Law Enforcement Oregon says that "In July 2002, we received information that Mr. Harelson was involved in soliciting the excavation of sites in Oregon and Nevada." During the ensuing investigation, Magill says that, among other things, "BLM agents purchased guns from Harelson in violation of the federal gun statute." As an ex-felon, Harelson is not allowed to possess firearms. Even more alarming, during the investigation the BLM's informant tracking down the sale of antiquities learned that Harelson was allegedly planning the murder of five people: his ex-wife, two former business partners, the Oregon State Police sergeant who headed the original investigation into the looting case, and the judge who presided at the 1996 trial. According to authorities, not only did Harelson have a list of people he wanted to kill, but he had acquired a weapon and silencer and was practicing for the murders. "We didn't want to wake up in the morning and read that one of those five people had been murdered," says Lt. Kurt Barthel of the Oregon State Police. "We decided that we would make an offer to him to see if instead of doing it himself, would he care to have someone commit the murders for him." An undercover state trooper approached Harelson with an offer to commit the murders and "he was more than willing to have that happen," says Barthel. "That put us in the driver's seat. We could run the investigation and make sure that those people remained safe." According to a report in the Grants Pass Daily Courier, a trooper posing as a hitman met Harelson at a boat ramp on Oregon's Rogue River to arrange the murders, agreeing to payment after showing proof of the slayings. The Oregon State Police then faked a photograph showing the "corpse" of a former business partner of Harelson who was on the hit list. After he was shown the photograph Harelson paid the undercover trooper with what he said was $10,000 in raw opals. The transaction was captured on tape and the Oregon State police arrested Harelson at his home. Barthel says that "Because of his propensity for violence, and his claims that when anybody served a warrant at his house he would litter the front yard with bodies, the state police SWAT team went and rendered the area safe. Then we came in." Harelson is now being held without bail at the Jackson County Jail. Charges include unlawful possession of a firearm, conspiracy to commit aggravated murder, attempted aggravated murder, solicitation to commit murder, and violation of ARPA. If convicted he could face up to twenty years in jail. Assistant U.S. Attorney Jeffrey Kent, a federal prosecutor with extensive ARPA experience, notes that the specifics of the case will not be made public until the seventy-page-long affidavit is unsealed in February. But he was able to tell ARCHAEOLOGY about one site included in the broad ARPA charge. "He was soliciting a person to go back and dig the rest of Elephant Mountain Cave," says Kent. One lingering mystery from the original looting case may be solved. During the BLM's investigation into Harelson's recent activities, two ancient skulls were recovered at a still undisclosed location. BLM special agent Magill told ARCHAEOLOGY there's a good chance they belong to the mummies Harelson buried in his backyard. A pending forensic investigation should determine if the skulls are those of the two children. 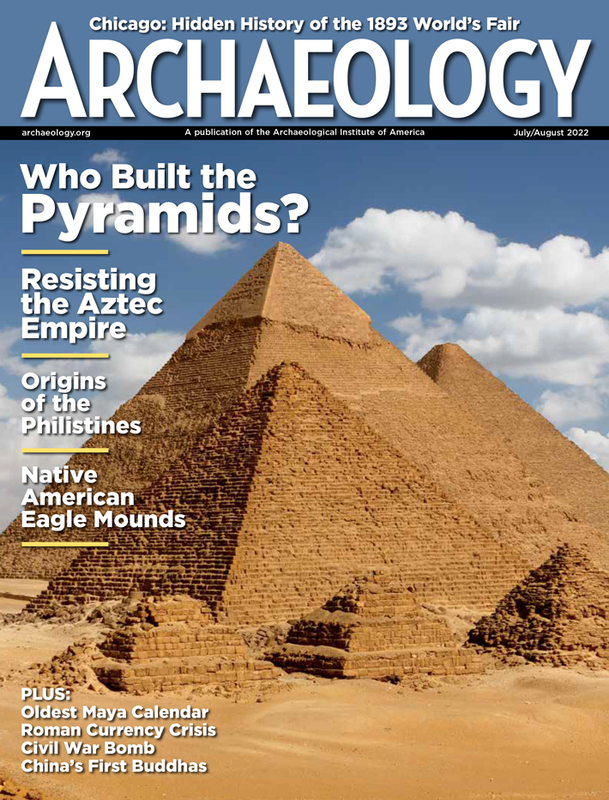 Eric A. Powell is an associate editor of ARCHAEOLOGY.